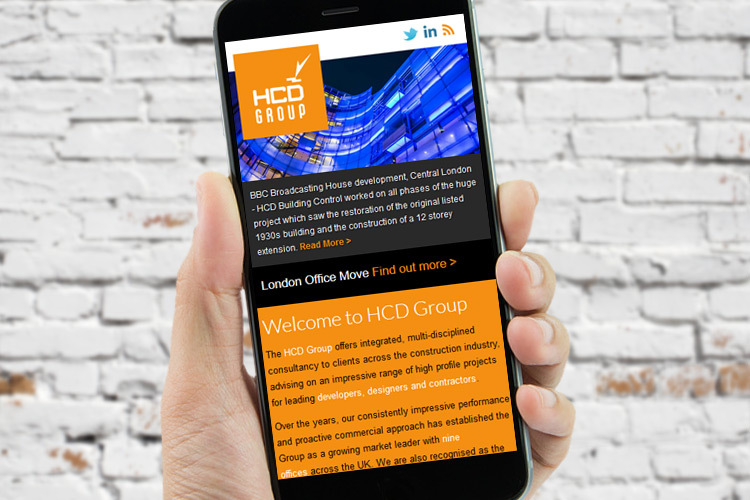 HCD asked us to help improve their website; which was not in keeping with the scale of their operation and the type of clients that they were dealing with. All businesses are judged by the quality of their online presence (irrespective of scale or industry), so it was imperative that this was addressed. We used our structured and methodical process to ensure that we carefully planned out a website design that was based around HCD’s key services and the needs of their target audience. By making your online visitors feel at home when they visit your website, you are much more likely to convert them into actual, paying clients. The website was based on a highly customised version of the WordPress publishing platform and with a bespoke design. The design is responsive and adapts to smartphones and tablet sized screens etc. In a further project, we created a private, intranet-like, staff portal for HCD’s multi-site team to access key, corporate content. Would like to talk to us about improving your website offering (or the benefits of an intranet)?